Editor’s Note: To read “Knight’s Heritage: Karl Haendel and the Legacy of Appropriation, Episode One, 2000” by Natilee Harren, click here. In the first part of her three-part essay on the work of Karl Haendel, Natilee Harren thoughtfully proposes a “subjectivist” authorial model that enables us to nuance the complexity of appropriation in contemporary art. Such a proposal is relevant in the current moment, when the act of copying occupies an essential and apparently natural place not only in artistic production but also in what may be called “technological life production.” From post-internet art to Google Books to patents on pharmaceuticals, who copies what has become an increasingly pressing concern. Within the logic of self-individuation and what Jodi Dean terms “communicative capitalism,” we witness the rebirth of the author.1. Harren describes Haendel as a “second-generation postmodernist,” an appropriation artist continuing the project of a critique of signification and a politics of representation from luminaries such as Sherrie Levine and Barbara Kruger. What distinguishes Haendel’s artistic approach from his predecessors is exemplified in his “homage” to Anne Truitt. 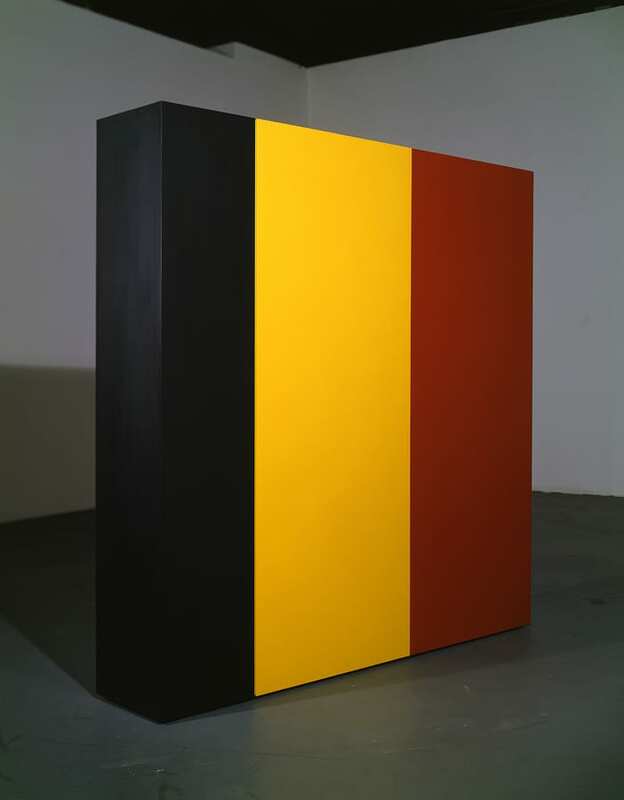 Harren theorizes Haendel’s For/After Anne Truitt as the artist’s attempt to resubjectivize the act of appropriation—in Haendel’s case, to work through identifying, as a white male, with past feminist art. Yet what does it mean to operate as a second-generation postmodernist? Beyond the strictly chronological, perhaps such a first and second differentiation is moot. Identifying texts that have reevaluated 1980s art criticism and its attenuation of the author, Harren points to just how hegemonic a certain strain of poststructuralist-inspired discourse had become in the recent history of art. I would add the scholar Linda Hutcheon’s work as another example of cultural theory that resisted the full dismantlement of the author so prevalent in the 1980s. “The Romantic creator,” wrote Hutcheon in 1985, “as originating and original source of meaning, may well be dead, as Barthes argued years ago, but the creator’s position—a position of discursive authority—remains, and increasingly is the self-conscious focus of much contemporary art.”2 Hutcheon’s “discursive authority” alludes to the status and power of an enunciating agent in the act of appropriating primary content. So much of the legitimacy of appropriation artists, from the Pictures Generation to artists such as Haendel, has come from their ability to articulate, if not manage outright, a discourse about their practices. In contextualizing Haendel’s re-creation of Truitt’s work, Harren addresses the problematic of a contemporary white male artist appropriating the work of an under-acknowledged female Minimalist sculptor. Yet I propose to extend this “white male privilege” to a general “artist’s privilege.” That is, it is difficult not to conceive the artist as a discourse-savvy, sovereign agent, and the artwork, therefore, as the privileged object of contemporary cultural expression. This condition becomes apparent as appropriation artists come into tension with copyright law as well as other authorial modes, which I will expand on in the following sections.